CLIA links you to groups who are breaking new ground in Creative and Integrative Arts, with the vision that as many people as possible become creatively literate in using Personal Expressions of Knowing that balance the right and left brain functions. We all share the belief that all are creative, although in different ways, reflecting what quantum science holds: we all are responsible for creating our own realities. Our lives and experience open like an unfolding flower, and it is this organic reality of experience that we can understand and nurture more productively. CLIA was formed by Charlotte Yonge PhD to implement a lifetime of study of how the brain works in education and the arts, and how to work with this understanding for creative change. She has worked with expressive arts for children and adults for over 20 years, developing personal growth and therapeutic learning support through visual arts, drum, dance, voice and clowning. She worked in school providing learning support for children with additional learning needs, using child directed play and creative journal. As a play trainer, she works in conjunction with the Play Team Association training programme developing non directive play and reflective listening skills for all those wishing to improve the quality of their work with children. She also works with adults offering workshops, coaching and consultancy, as one of only three facilitator/coaches – trained by Dr Lucia Capaachione in California – offering Creative Journal Expressive Arts (CJEA) skills with Creative Visioning, in the UK. 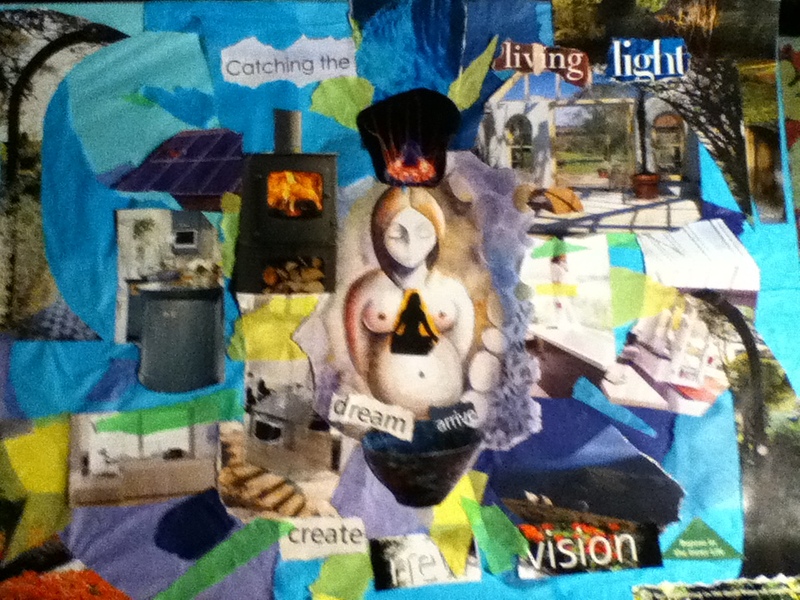 She is also a trainee Visioning(R) coach integrating expressive arts and both handed journal techniques for balancing the brain. In 1998 after gaining a PhD investigating children’s talk in groups, she started a six-year pilot project using multi-media expressive arts with a boy with Aspergers’ Syndrome. 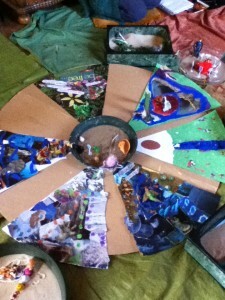 The child benefited from expressive arts learning support that built upon his family’s experiences as artists. The project became part of a diploma course for a pioneering organisation: the School of Emotional Literacy, Gloucester, and demonstrated the effectiveness of child directed play through clowning, home video, cartoons and puppets. CLIA supports individuals and groups in developing personal ideas and dreams into positive action in their lives. It empowers and enhances our natural ability to express and communicate ourselves creatively, and whether we know it or not, we already do this in every minute of our lives. Biophysics tells us that we create our reality, and that each of us responds as a cell within a larger existence, to a whole Life Complex that extends into the universe. We are a collective expression of this collective life, following an evolutionary path to greater consciousness, which we can see has deepened and expanded into global and ethical dimensions never before achieved. CLIA COACHING, as a programme of workshops, coaching sessions and learning support for children, grew out of the study of Asperger’s Syndrome, as a synthesis of non directive play, and creative journal. It responds to the understanding from Garnder’s work that we each express our intelligence in eight different modes: verbal, mathematical, visual, spatial, interpersonal, intra-personal, kinaesthetic and musical. Over the last ten year, Gardner and Goleman established a theoretical basis for Emotional Intelligence. Together with new advances in brain research, and other scientists’ discoveries about the nature of emotion and thoughts (Candace Pert, Bruce Lipton) this has signaled the recognition of new ways of knowing, learning and responding to our environment (Ecopscychology and the work of Schumacher College). Conscious evolution can be seen as an organic process of flowering, where today humanity stands at the point of releasing the psycho-social and environmental tensions like the petals of a bud. Creative Literacy seeks to contribute to an ever growing philosophical re-evaluation of what it is to be human and how we utilize our amazing creative potential at this time of profound global and climatic transition.